Among the highlights of the Bisons' annual preseason gathering is the introduction of new food items that will be added to the menu. Resurgence Brewing Company, Ru's Pierogi and Seabar Sushi are joining the list of local vendors that will contribute to the growing theme of truly Western New York flavors. 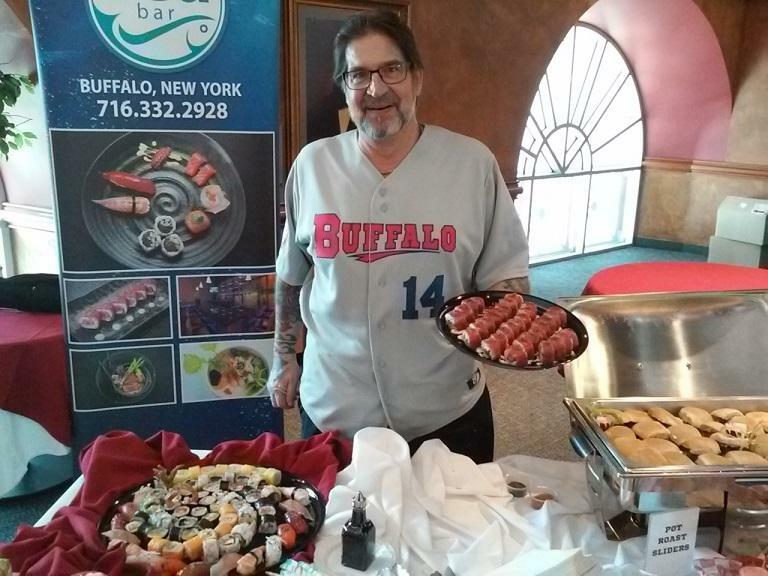 Mike Andrzejewski of Seabar Sushi holds up a platter of beef-on-weck sushi, which was sampled as part of the Buffalo Bisons' "What's New at the Ballpark" preseason preview, held Thursday at Coca Cola Field. Ru's offered samples of pierogi including a Buffalo chicken wing filling and a beef on weck filling. Seabar also offered a beef on weck item, in the form of sushi. Yes, sushi. "We're really well known for this over at Seabar, kind of world famous at this point," said Seabar Sushi's Mike Andrzejewski. 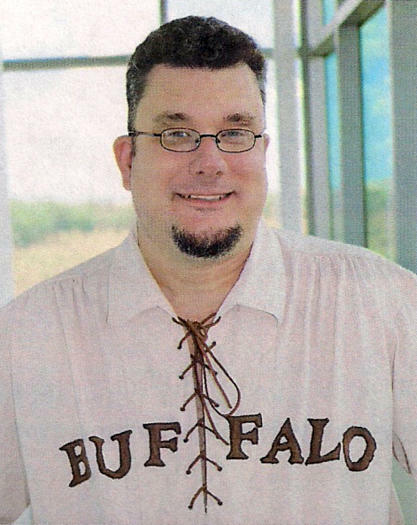 "We're offering it in the suites at Bisons games now. 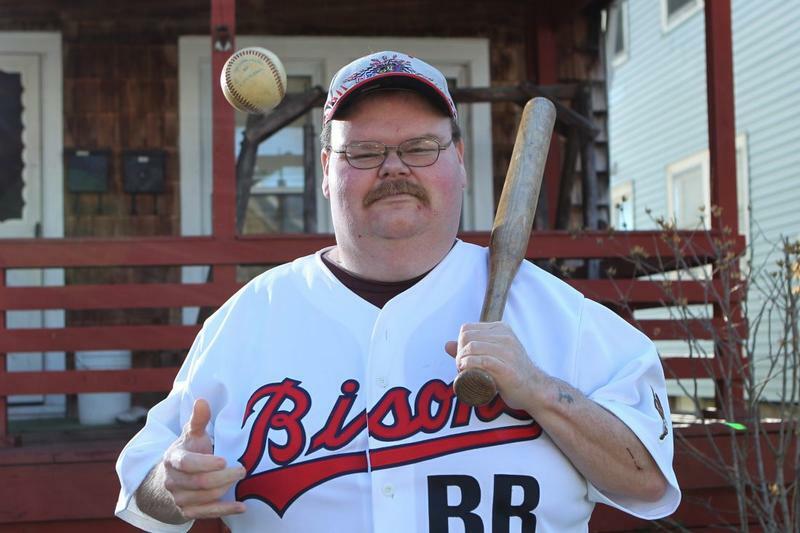 It's a pretty cool opportunity to partner with the Bisons. We also have our regular sushi platters with quite an assortment on that, also." 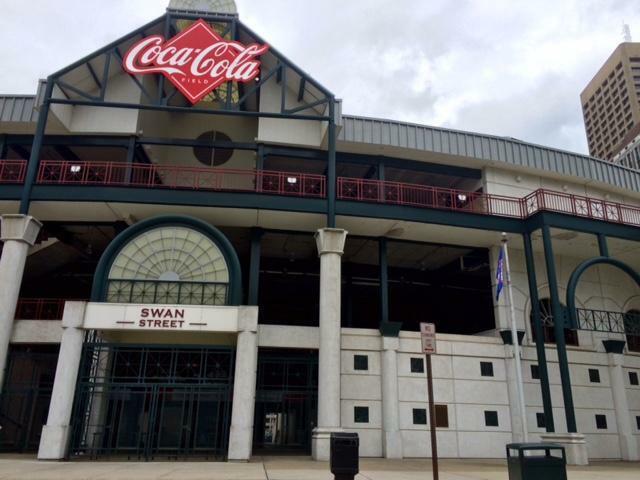 The food is just one of the changes the Bisons previewed Thursday. Additional new seats - wider, green ones - were installed since last fall to replace thousands of the original red chairs that had been in place since the ballpark opened as Pilot Field in 1988. The City of Buffalo, which owns the stadium, has provided funding to support a gradual replacement of those seats. "Mayor Brown and the Common Council approved funding of about $700,000 to do that, phase two of hopefully one day replacing all of the red seats," Buczkowski said. "They're all 30 years old. They've been through 30 Buffalo winters and 30 Buffalo summers and it's time to replace them. We've had great support. We're hoping that we're going to be able to do phase three in the fall, once the season ends, and do a couple thousand more seats." The team's special theme game nights remain a popular draw, including an annual concert by the Buffalo Philharmonic Orchestra on the eve of Independence Day and a Star Wars day. The team's "Fridaynightbash" will also return, with one modification. Buczkowski says the traditional post-game fireworks will be launched this season from inside the ballpark. The team itself also has some new looks. 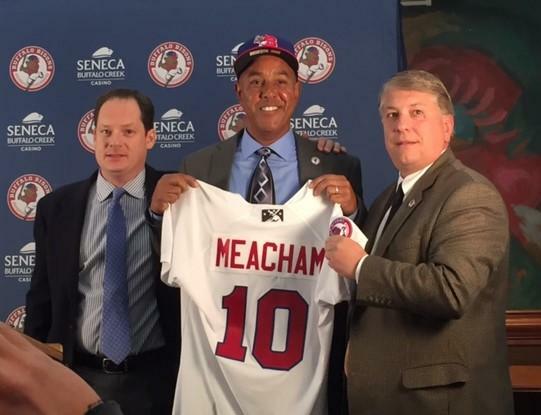 Bobby Meacham, who played six seasons with the New York Yankees and one season with the Buffalo Bisons, was named the team's new manager last November. The team's Opening Day in the International League is scheduled for April 6 at home against Scranton/Wilkes-Barre.